I am so in love with this dress. 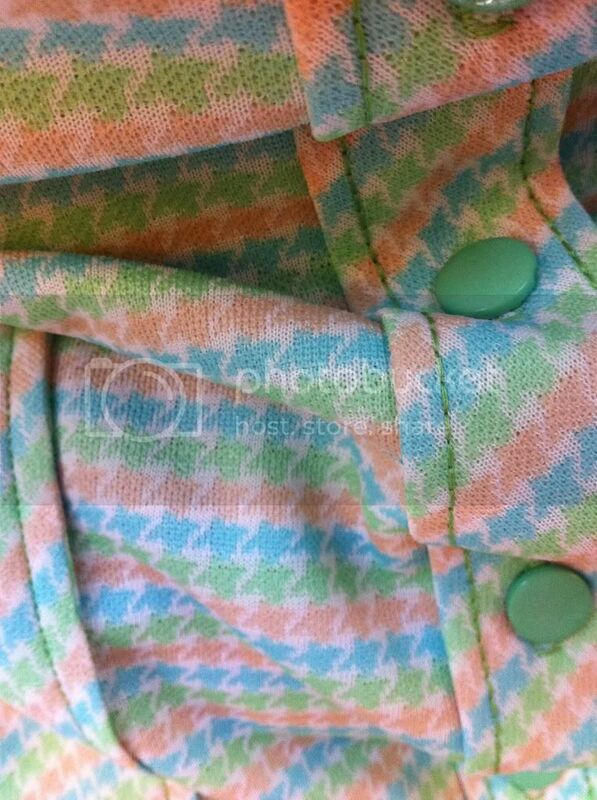 I feel like an Easter egg in it, but I honestly think it's my favorite dress I own. 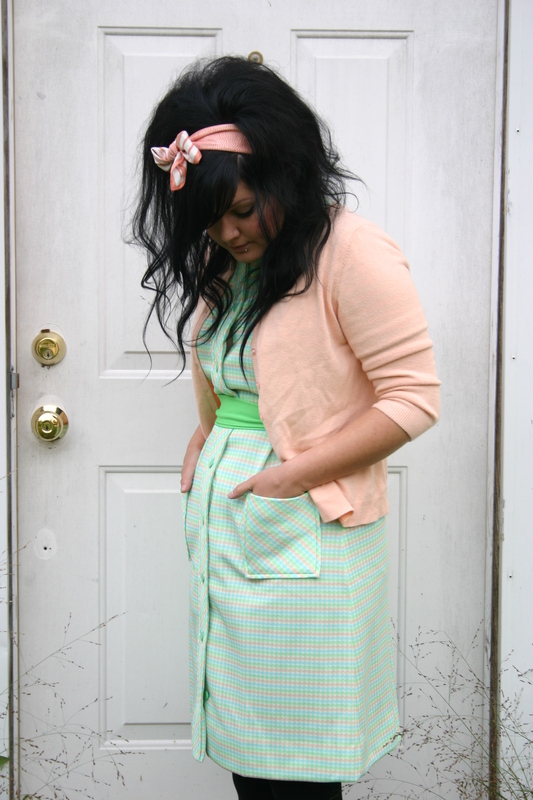 Last week I dreamed I found a pretty little mod dress in the perfect shade of mint green. I think this is pretty close to that dream dress :) The sash it came with is a little weird, it was pinned to the collar and it's an odd sort of trapezoid shape. It's just barely long enough to fit around my waist, so I don't think it's intended to be a belt, but the dress has belt loops in the same color. 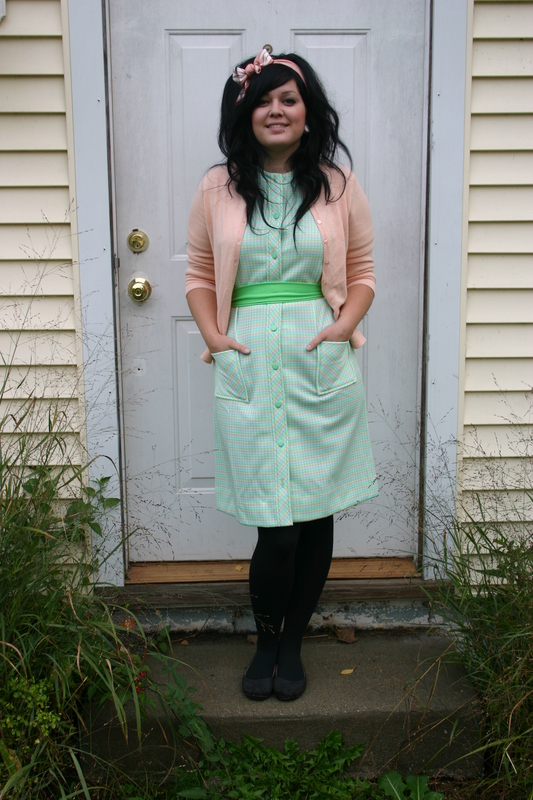 Love the dress and the cardigan, the colors are perfect. I think maybe the actual belt was lost and the weird sash is a neck scarf? What an amazing dress! You don't look like an Easter egg at all, haha! this is my favourite outfit like...ever! oh my gosh so freaking CUTE!!!!! Whoa I love this outfit!! The whole look is awesome :) thumbs up!! your hair is amazing - and i love this entire look, lovely! I love the sweater & headband! Those colors together are beautiful! Seriously, you are so super adorable! You're so gorgeous! Love this dress! holy smokes. i love this dress on you. not just the color but the fit is fabulous on you.